Your next project deserves the best and ADC Cast Optical Filters provide the best solution for high quality display devices and data capture systems. 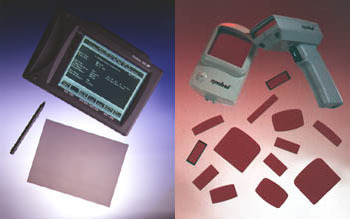 Fosta-Tek’s ADC cast thermosetting optical sheet has excellent optical properties. ADC (CR-39®) was originally developed as a replacement for glass prescription ophthalmic lenses and currently holds over 60% of the prescription lens market. In fact, its optical properties are so close to those of mineral glass, this plastic is often referred to as organic glass. Windows and filters made from Fosta-Tek's ADC optical plastic exhibit superior optical performance and display image quality due to ADC's clarity, high light transmission (over 92%), low haze, low yellowness index, high Abbe Value and lack of birefringence. Click here for ADC Tech Specs.pdf.